‘After Lady Elgin had been with the Princess for six months, Miss Garth was replaced by Miss Hayman, who was described as “rough in manner, right in principle, blunt in speech, tender in heart”. She arrived at Carlton House on June 1, 1797, and is the first person to give us a description of Princess Charlotte. 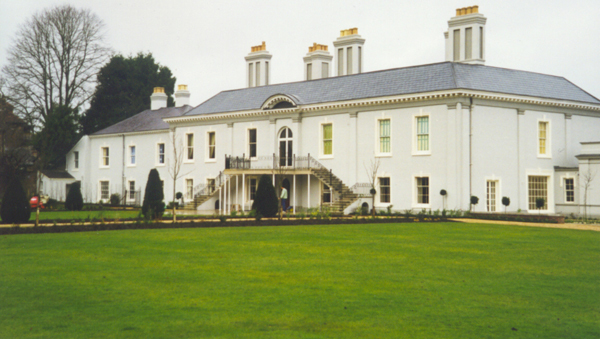 ‘In 1804, Princess Charlotte’s little world received a fresh shock. Lady Elgin, now in her sixties, and suffering from gout and weak health, resigned. There is a suggestion, in her letter to the King, that she was compelled to do so, “by a new arrangement of education deemed necessary, as her Royal Highness is advancing in life’. Whatever the reason, this resignation was unfortunate from Charlotte’s point of view: ‘Eggy’ was the one person – apart from her grandfather – for whom she had both respect and affection. It is noticeable that in the new regime which followed, the young Princess began to show signs of becoming a problem child. She was noisy and disobedient; she showed off and told lies. 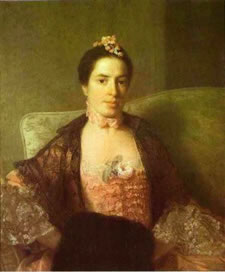 Gentle, good Lady Elgin, who had watched over her “precious charge” so carefully, had succeeded in curbing her temper and instilling in her something of the prim virtue of the model child of that period; and although Charlotte’s temperament was far too passionate and impulsive to remain within these bounds, her affection to Lady Elgin often brought her to her senses when nothing else would. Under ‘Eggy’ we find Charlotte, age five, weaving a tasselled cape string for her grandfather, and sewing laboriously and probably not very well at a footstool for the Queen. She wrote to the King that she wished the cape string were better, “but it is the first I have ever done…” “Pray come back soon to Kew,” she ends, “and for Eggy and me,” and signed herself “Your dutiful Child, Charlotte”. 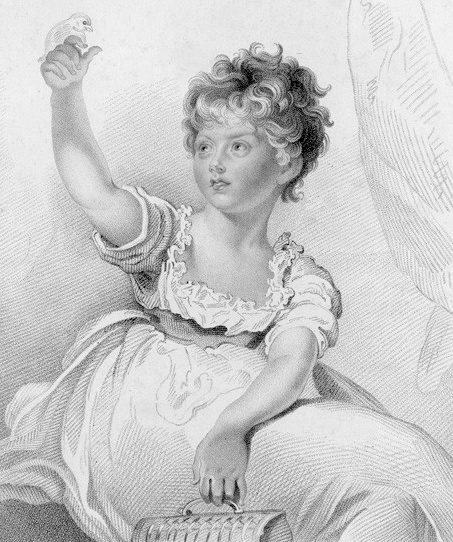 This docile child was to vanish with Lady Elgin’s departure. 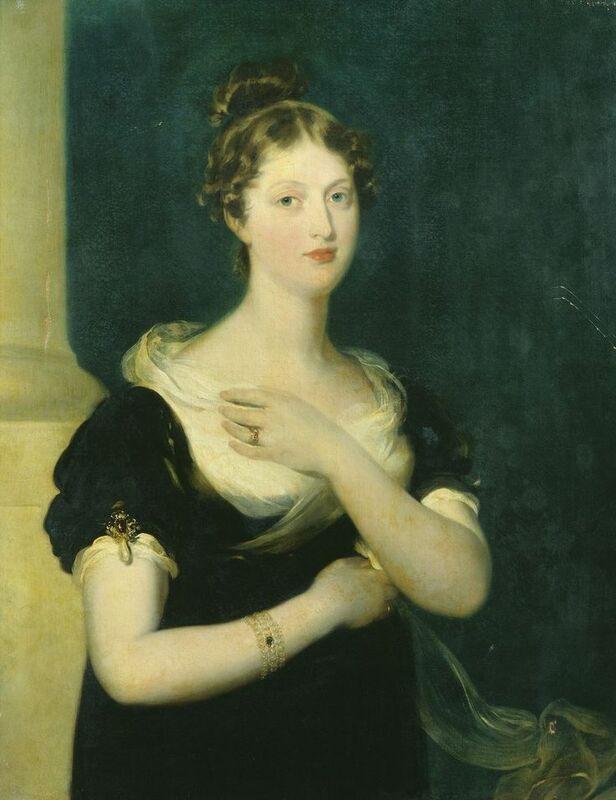 On that day in 1817 Princess Charlotte died having given birth to a stillborn son, leaving her husband, family and the whole England in deep mourning.